Award-winning artisan Chocolatier specializing in some of the world's finest and rarest chocolates. Are you a chocolate connoisseur or gifting for a chocolate lover? 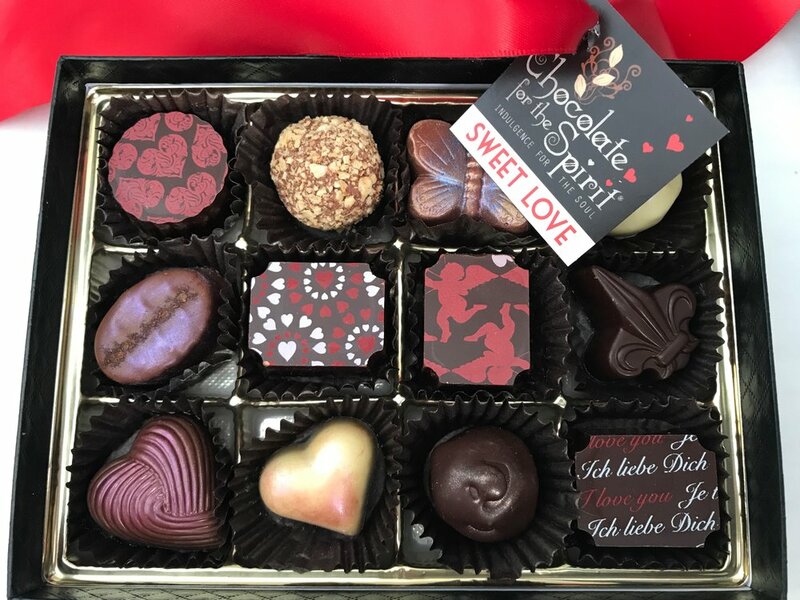 You're in for a treat - Chocolate for the Spirit makes handcrafted, luxury, award-winning chocolates. We specialize in ultra premium and rare fine chocolate - some of the world's best. Chocolate for the Spirit makes ultra-premium chocolate bars that showcase some of the 400 flavor and fragrance aromas found naturally in superior cacao. Less than 5% of the world's cacao qualifies for fine chocolate and only 1% is the quality we use for our Grand Cru, single-origin creations. Premium cacao is masterfully and delicately processed to preserve the amazing natural flavor notes which make our chocolate so special. Most of the world's cacao is used to make 'candy' grade chocolate with added fillers and artificial flavoring, but not ours. We treasure chocolate - it takes center stage in our creations - it's the STAR! Looking for truffles? Award-winning, Master Chocolatier Julie masterfully combines amazing chocolate with fresh cream, butter, fruit purees, spices, nuts, liqueurs, and exotic ingredients to create a unique chocolate experience that lifts the spirit. Chocolate for the Spirit? Indeed!